Something is clearly dubious when four companies that together control almost 92% of the domestic market for liquefied petroleum gas (LPG) implement identical price hikes. Last week, Petron, Shell, Liquigaz, and Total separately announced the same increase of P4 per kilogram in the retail price of their LPG. These same companies have also separately announced identical LPG price hikes of P2 per kg in the second week of January. The rounds of price increases came amid reports of supposed shortage in LPG supply and allegations of overpricing. 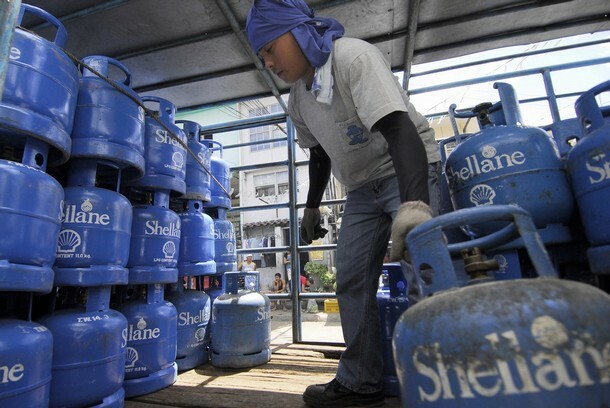 Petron controls 37.8% of the domestic LPG market, followed by Liquigaz (24.6%); Shell (20.5%); and Total (8.7%). Only through their collusion can a supposed “shortage” in LPG supply occur and rake in windfall profits from higher retail prices. The greed for profits of these oil companies becomes even more deplorable considering that they have yet to adequately answer allegations of abusive pricing. Bayan, for instance, has earlier estimated that LPG prices should be rolled back by almost P61 per 11-kg cylinder tank to offset the oil firms’ overpricing last year. Even the Department of Energy (DOE) has been saying that LPG retail prices should not exceed P500 per 11-kg tank. Threats of sanctions from the DOE are apparently not enough to check the abuses of the oil companies, especially the local units of the world’s largest oil transnational corporations (TNCs). Despite “strong warnings” from the DOE and the existence of a DOE-DOJ task force, created under the Oil Deregulation Law to purportedly curb abuses in the industry, not a single oil company has been punished for preying on the consumers. The problem is not simply the proper implementation of the Oil Deregulation Law because this policy by design creates conditions for price abuses to take place. With thousands of Filipino workers here and abroad being displaced everyday due to the global financial and economic crisis, such abuses, tolerated by the government under the pretext of free market, become increasingly unforgivable. Worldwide, the raging economic crunch, bankruptcies, and economic dislocations have profoundly discredited the so-called free market implemented through policies such as the Oil Deregulation Law. Even the most ardent proponents of free and deregulated markets including the US government are now gradually reining unrestricted economic activities in hope to address what is now widely described as the worst crisis of global monopoly capitalism. Price control, including effective regulation of oil price adjustments, is among the package of immediate measures that can help mitigate the impact of the global crisis on ordinary Filipinos. As more workers become jobless and underemployed, reasonable prices and affordable cost of living through effective state intervention become more imperative. Indeed, the massive economic dislocation, which even labor officials concede is happening at an alarming pace, further justifies the people’s demand to repeal the Oil Deregulation Law.